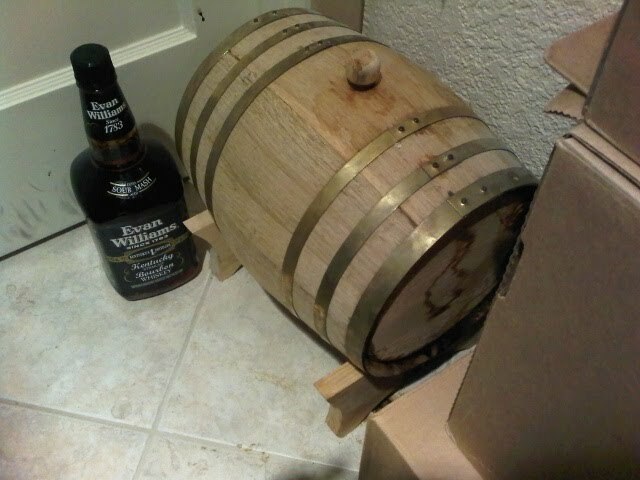 A couple of years ago, I picked up a 2.5 gallon oak barrel from The Barrel Source. This was before small used bourbon barrels were available from micro-distilleries. My thought was that I could fill the barrel with bourbon until it is sufficiently seasoned, age a beer in it, and then refill it with the bourbon to "recharge" the bourbon character. When I was doing my original math on this project, I knew it would be expensive, but I figured once I took the hit, it would pay off for years to come. Unfortunately, I didn't factor in the "angel's share". For those who haven't heard this term, as beer, wine or spirits sit in oak barrels, a small percentage of the liquid is lost over time to evaporation. This loss of volume is referred to as the angel's share. In my case, I have come to consider this little barrel sitting in my basement to be something like a little drunk guy who drinks a fifth of my booze every few months and drips an occasional drop of "bourbon goo" on the floor. If I'd only have waited until those small used bourbon barrels had become available. One characteristic of very small barrels is that you can get a lot of barrel character in a very short time because the surface to volume ratio is significantly higher that what is found on larger barrels. The drawback is that oxidation also happens much quicker with small barrels, so you really need to be careful with how long the beer sits in it. For big beers that need some age, my practice has been to age the beer in a very full carboy for several months, and then put half of that batch in the barrel for 3-4 weeks and put the rest in a purged corny keg. The two halves can be blended back together as needed. The first beer that I put into this barrel was a clone of Pelican Brewing's Perfect Storm. I really liked the way that beer turned out, and had a hard time coming up with a good followup beer that I would consider to be barrel worthy. 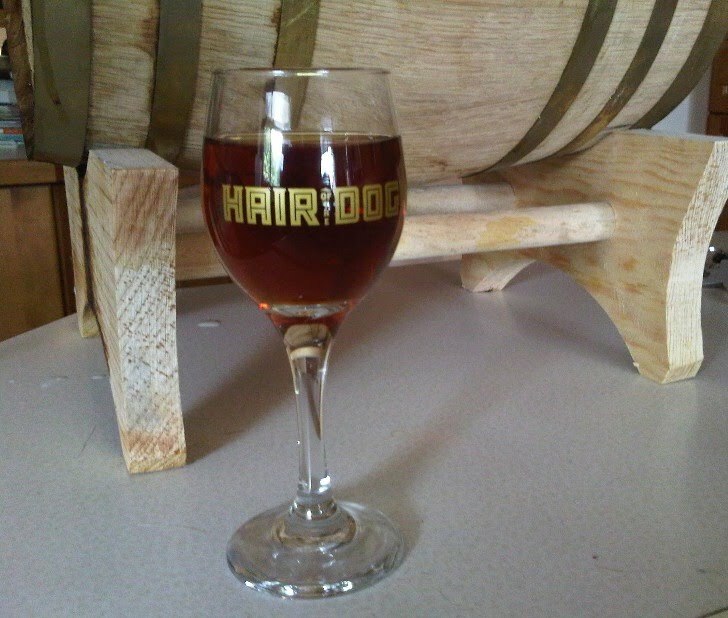 Then at a Big Wood Festival at Brouwer's Cafe in Seattle, I had a chance to try Hair of the Dog's Bourbon Fred. I had a lot of great barrel aged beers that day, but Bourbon Fred really blew me away and stood out above the rest. I had my target. After researching a few HOTD Fred clones and adjusting the ingredients - especially the hops - for what I could obtain, I came up with the following recipe. I aged the beer for 6 months in a carboy, then put half of the batch in my little bourbon barrel for a month and put the other half in a corny keg. The official debut of this beer will be at the National Homebrewers Conference Club Night on Friday June 22, 2012.